All carefully selected for their charm, charisma and stunning good looks, our incredible team have a wealth of experience in anything filming and aviation. They’re pretty friendly too, so why not get to know them? Looks after technical planning and aspects of more complex shoots. 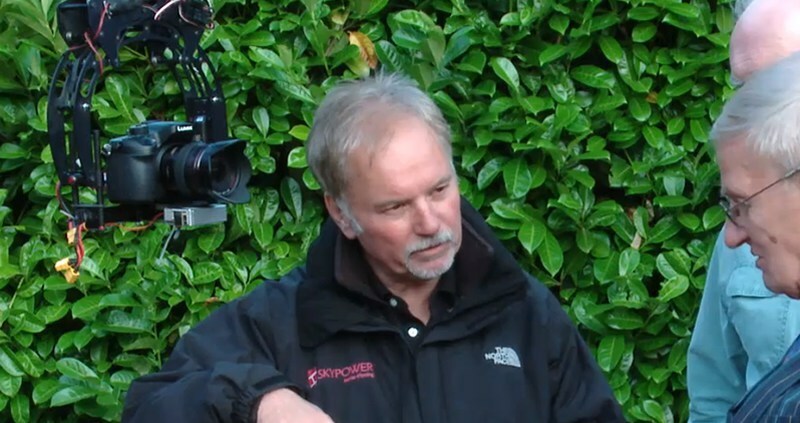 Neil addresses the clients needs on site working closely with DOP’s to ensure filming and projects flow correctly. Highly commended within the industry and has received a Hollywood Award for Exceptional Aerial Videography. You can find out more about Neil’s individual projects on IMDb. Focusing on business development within Skypower and specialising in project management. With a keen eye for detail and opportunities, Sandra is a wicked creator. Specialising in marketing, client services and growth of the business along with making sure we are properly insured, licensed and compliant with everything plus ensuring our service levels are right up there at the top. Logistics wizard: liaises with the CAA, port authorities, ATC, police etc and obtains special permissions. With his engineering background he also works with the build guys on future R&D. UAV Pilot and Build Technician, Rob heads up our team of EuroUSC qualified pilots. Russell is a highly skilled UAS pilot. With years of flying and competition drone and helicopter racing experience, he applies his precision and skill to seamlessly get the shot. Director/ cameraman, Editor, UAS Pilot and Engineer. Steve brings years of film and broadcast television experience to the table. Equally at home as part of the UAS team or with ground based videography and editing. Chris loves to get the shot and has great creative flair. An experienced videographer, photographer and editor who knows how to turn an ordinary shot into something spectacular. Ana refers to herself as a second camera, capturing stunning footage with ease. Experienced in capturing the shot effortlessly, awesome at planning and client liaison. Skypower was one of the first professional drone operators to be licensed with the Civil Aviation Authority (PFAW 136). We were also one of the first drone operators in the country to be granted special permission to fly closer than 50m in built-up areas such as London with permission to fly within 10m – and we remain one of the only drone providers to carry that privilege in London, Wiltshire and the United Kingdom. We’re accredited by entertainment and media safety specialists First Option Safety, as well as all our staff being CSCS card holders. We see it as a testament to our hardworking, compliant and exceptional-quality multi-level filming services. With a license to film closer than most other companies and the experience to navigate our way around special permissions, Skypower guarantees a superior service and a better-quality shot than any other. Be it high-resolution photography, live broadcasting or drone filming in London, our highly-skilled pilots and drone photographers will capture footage that will simply blow your audience away. Not only that, but you know all work will be carried out with the highest of safety standards in place. That’s why we’re a preferred supplier for the BBC, ITV and Channel 4. We have offices in London and Wiltshire and cover the whole of the UK. Our equipment is prepared for overseas travel, and we are happy to take on projects worldwide. "These are F$%king great! Million dollar shots. Game changing images, Bond on a budget!" The Skypower duo provided beautiful shots for us with minimum fuss. In my experience, some pilots and camera operators don't pull off the teamwork required to deliver. I have no hesitation in saying that the Skypower guys did. We used Skypower for an aerial shot on a short client film and in a few words we simply could not have achieved what we had hoped without them! They understood exactly what we required and were extremely helpful in sharing with us their expertise and knowledge. In addition to their professionalism and skills in aerial filming, they were a lot of fun to work with and helped make it an enjoyable and relaxed experience. We hope and look forward to working with them again. Skypower were the definition of unflustered. We had a combination of challenges: night shoot, scattered showers, limited time and squads of passers-by. The Skypower team stayed ice-cold throughout: they helped us find a way to get every shot we wanted and the results are breath-taking. We wouldn't hesitate to work with them again. We got in contact with Skypower after we had been let down by another supplier and despite the last minute nature of the request they were incredibly helpful in organising our shoot in just a couple of days time. Hi Neil, Everyone is very happy with the footage I saw some yesterday myself and it looks amazing. I can say with much confidence that I am pretty sure that we will want to use the copter again. Skypower helped us film a Public Safety demonstration video in the centre of London, a very challenging environment from a Civil Aviation perspective. The company helped us identify a location and worked with us to find the best time for launch and filming (including coping with tide and weather conditions). In the end we ended up with some footage which could have ben from the "Bourne identity" of a suspect running across the Millennium Bridge. Excellent work guys. Thank you, it looks fantastic, I can't wait to see the reaction at the grand reveal - I know the lads were really excited about it when I saw them last week, 5 mins of fame and all! Really appreciate the effort everyone put in! Great working with you. With Skypower, you can be assured that you are working with an established and trusted operator with bucketloads of experience and special permissions that others could only dream of. To make an enquiry, call us on 0208 166 9712.